Sheridan’s shuttles go to Oakville, Brampton, and Mississauga to match the three Sheridan campuses. 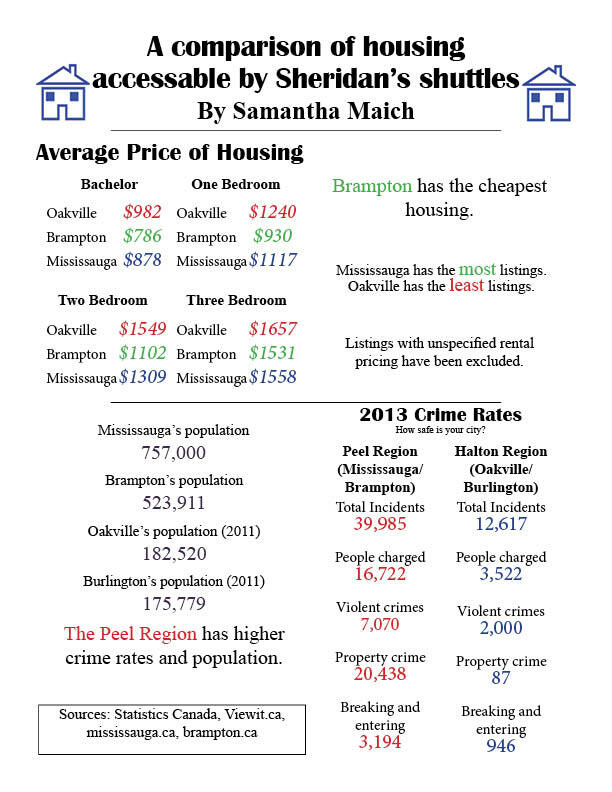 This infographic compares the housing prices, population, and crime rates between the three cities, allowing students to make cost efficient, safe housing choices. Added by Samantha on March 10, 2015.